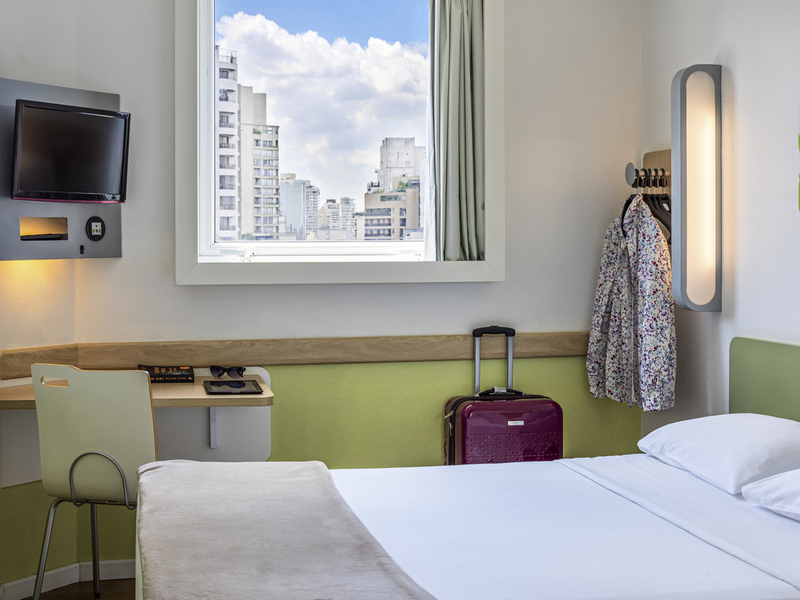 The Ibis budget São Paulo Jardins is in a privileged location, 1.5 km from Ibirapuera Park, close to Pamplona mall and Oscar Freire St, place of the city's best shops. 8.2 km from Tietê bus Term., 9.2 km from Congonhas airport. Relax in modern, functional rooms with free Wi-fi, for up to 3 people. Enjoy varied breakfast and a 24-hour convenience store. Small dogs are welcome. Pet-friendly Hotel - Small dogs are welcome. Ironing room available for guests. Hairdryers and adaptors loaned upon availability. Come discover the rooms of the Ibis Budget Jardins, designed to suit all your needs! Whether for business or pleasure, the different room categories offer comfort during your stay with free Wi-fi. Rooms accommodate up to 3 people, while adapted accommodations and more allow for small pet dogs. The restaurant has a good space so that our guests can make the most of our breakfast buffet. Additionally, we have a convenience store open 24 hours.